Fear of flying is more common than a fear of driving, yet while car accidents cause over a million deaths per year, plane crashes are extremely rare. Dutch aviation consultants at To70 estimate that commercial passenger jets see just one fatal accident for every 16 million flights. And in 2017 not one death linked to a commercial plane accident was recorded. To70 estimated that the fatal accident rate for large commercial passenger flights in 2018 at 0.36 per million flights, or one fatal accident for every three million flights. The fear of flying often comes from the media surrounding accidents when they do happen. Yet, the media coverage is high because of the rarity of airline crashes. While there was an increase in fatalities in 2018 there was no correlation to a decrease in aviation safety. The International Air Transport Association (IATA) released data for the 2018 safety performance of the commercial airline industry which shows long-term, ongoing safety improvements. “Last year some 4.3 billion passengers flew safely on 46.1 million flights. 2018 was not the extraordinary year that 2017 was. However, flying is safe, and the data tell us that it is getting safer. For example, if safety in 2018 had remained at the same level as 2013, there would have been 109 accidents instead of 62; and there would have been 18 fatal accidents, instead of the 11 that actually occurred,” said Alexandre de Juniac, IATA’s Director General and CEO. 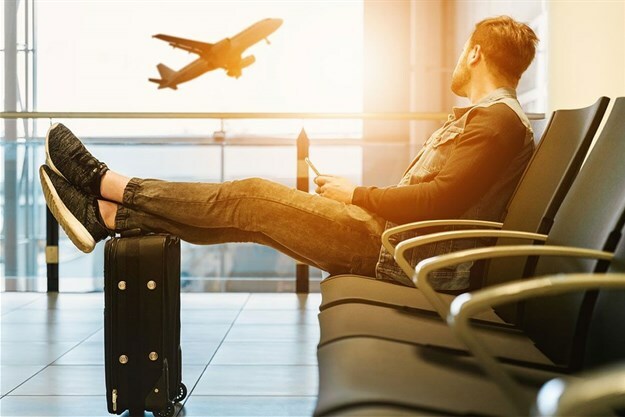 Passengers flying through Africa can rest even easier, as safety records are some of the highest in the world according to IATA's Airline Safety Performance report. "For a third consecutive year, airlines in sub-Saharan Africa experienced zero jet hull losses and zero fatalities in jet operations. The all accident rate was 2.71, a significant improvement over the rate of 6.80 for the previous five years. Africa was the only region to see a decline in the all-accident rate compared to 2017. However, the region experienced two fatal turboprop accidents, neither of which involved a scheduled passenger flight," said De Juniac. This is proof that African airlines can be proud of their extremely conscientious approach to safety systems and processes, and a near incident-free aviation record. Many airlines can boast not one passenger fatality in their history of flying. One such airline, Dubai-based Emirates, who operate thousands of flights in and around Africa, has never had a fatal accident in its history. Since it took to the skies in 1985, it has only recorded one aborted landing which resulted in the death of a firefighter.